FUN! 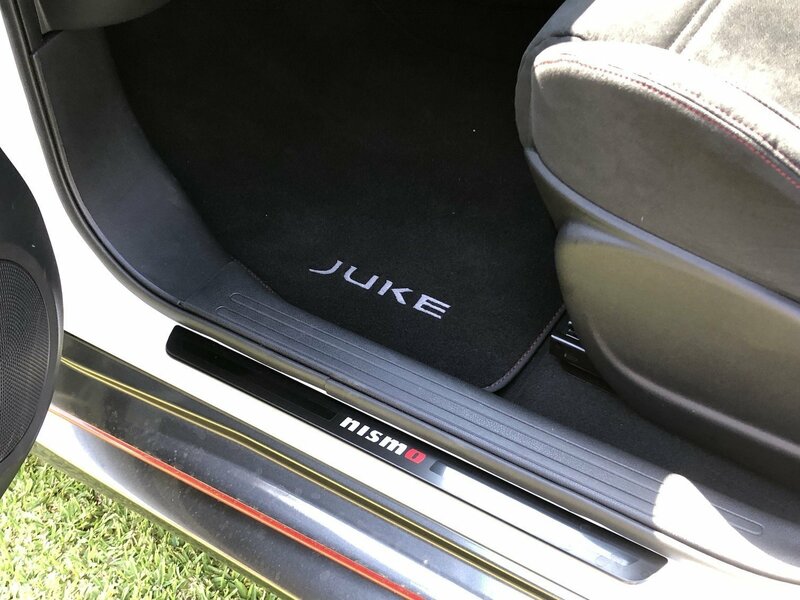 That’s the first impression we got when we hopped into the 2019 Nissan Juke RS NISMO. 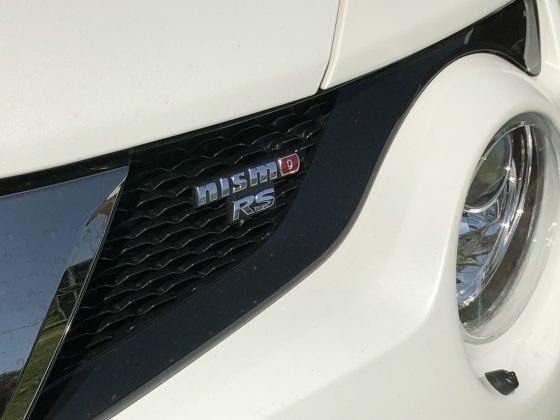 It’s just simply loads of fun, and comes with that very special NISMO performance badge to boot. So what happens when you take the official top-of-the-line standard Nissan Juke, the Ti-S, and you put it in the hands of those crazy folks at NISMO? Well, you get a wicked version off a quirky compact SUV. 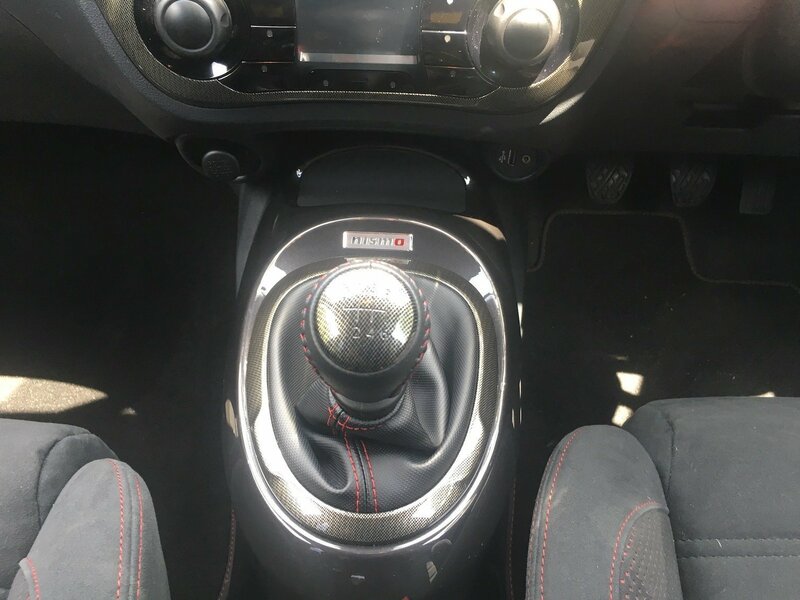 The fun starts with an excellent 6-speed manual gearbox, some visual enhancements and some super comfortable seats to make it exceptionally good on the road. They have not however, used the same drive train as the Ti-S.
You see the NISMO variant is 2WD, and that’s OK too, in fact it’s not a negative at all. Think about it. 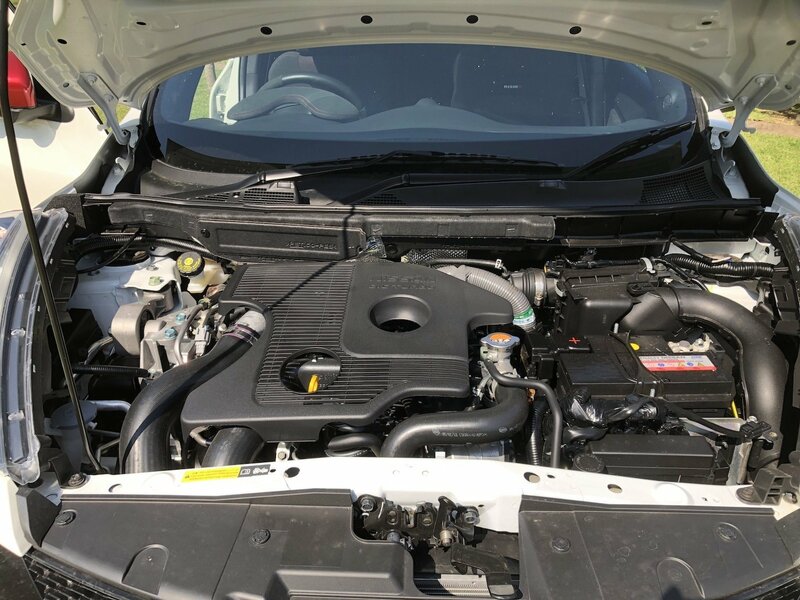 A punchy performance 1.6-litre turbo petrol engine with a tonne of get up and go, all driven through the front wheels. You see the fun now don’t you? Drive hard and your desire for that feeling you get from a powerful big block engine is more than accounted for, without the ridiculous fuel costs. Official fuel figures hover around 7.2-litres/100km, while we managed 7.8-litres/100km. It’ a pretty close result, although we do warn you, it would be very easy to put your licence at risk in this wicked little Juke. Think about it. It’s a compact package with 160kW of power and 280Nm of torque. The power difference to the Ti-S is definitely noticeable too, as NISMO have done a good job of improving the way in which the pint-sized pocket rocket delivers the extra horses. Oh, it also comes in a 7-speed CVT auto, if that’s your thing. It also has a throaty little exhaust too. It takes us back to the days of Auto Salon when young bucks would spend ridiculous amounts of money upgrading their cars with expensive after-market kit. Back then, it was not unusual to be adding things like a new exhaust, better turbos, big sound systems and better seating. Nissan has done all that with the help of their NISMO arm, not to the extreme but enough that it’s extra cool. Not only that, it’s as smooth as silk to drive as well. Sitting on 60km/h feels effortless. Sitting on 100km/h still feels just as cruisy. The 6-speed manual gearbox helps play with the power but the clutch does feel a little heavy. That’s particularly noticeable in the city, but you get used to it. The selector plate is very narrow too so we found ourselves ending up in the wrong gear here and there, on the way up and down the power curve. Inside, the seats have some great side bolstering which made them super supportive and more reminiscent of the 370Z or something more sporty than a small SUV. They have a suede finish as well and come loaded with heating. It would be nice to see Nissan include a cooling/venting function here though for the brutality of the long hot Aussie summer. Electric seat adjustment might be nice to have too, but we also get the ‘back to basics’ NISMO feel. 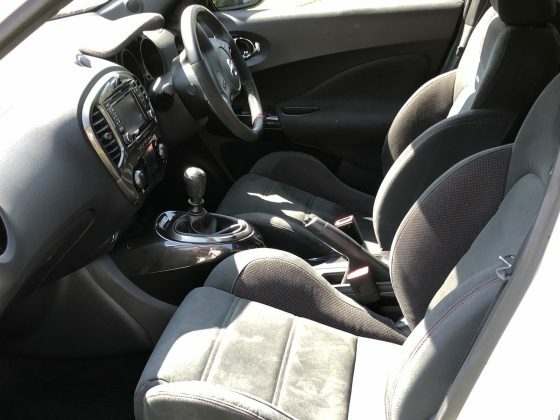 At $37,790 plus on-roads though, and with all your major competitors fitted with those ‘nice to haves’, buyers will have to choose to want this car. Infotainment and technology are pretty standard in the NISMO Juke RS, with a 5.8-inch touch screen, Bluetooth audio and phone, navigation, climate control, three different drive modes and a smaller screen to show you boost and g-forces. Again, it’s all very back to basics on that front too. Driving aids include blind spot warnings and lane guidance, as well as cruise control. It does miss autonomous emergency braking (AEB) though. You can also set a speed-limiter so that heavy right foot doesn’t get you in trouble and the speeds can be adjusted with the flick of a finger as well to change to the many and varied speed limits in our urban areas. 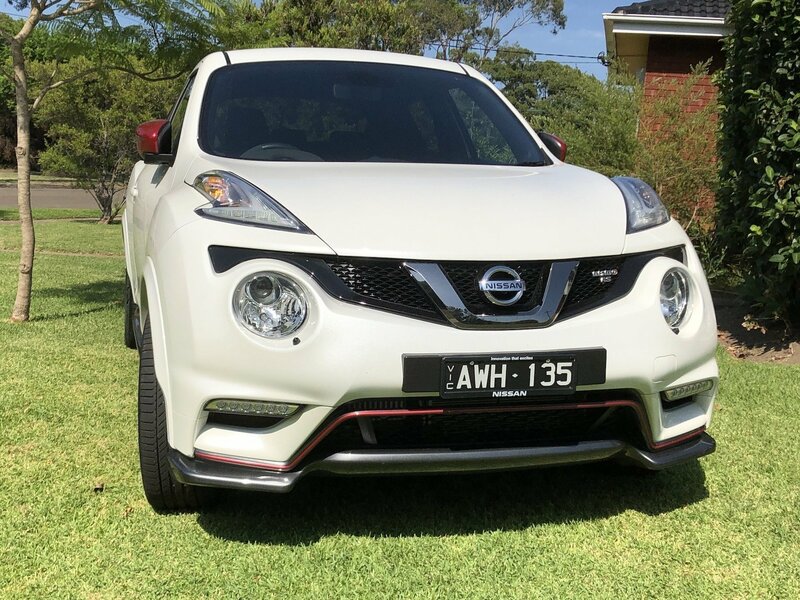 The 2019 Nissan Juke RS NISMO comes in three colours, including Ivory Pearl (our test car), Platinum metallic and Pearl Black. It comes with custom alloy wheels and the side runners also have NISMO branding on them. It will put a smile on your face every time you get behind the wheel, because, well, it’s different to every other compact SUV on the market, it’s got a cool factor the others don’t have, and that cool factor is NISMO. 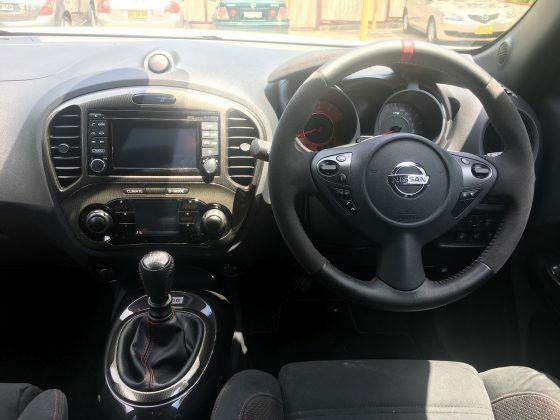 Our test car was provided by Nissan Australia. 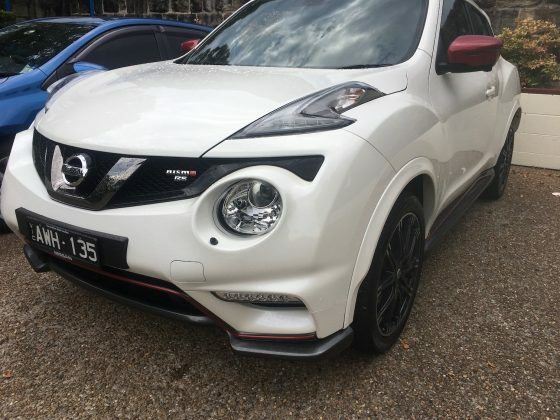 To find out more about the 2019 Nissan Juke RS NISMO, contact your local Nissan dealer. Pros - excellent exhaust note; sporty power plant; quality manual transmission; comfort levels. Cons - not a huge amount of boot space; no cooled or vented seats; it's 2WD not AWD. The 2018 Lexus LS 500h has landed in Australia to continue its place as the flagship large sedan for the Japanese car maker, touching down with some seriously cool tech and a new look exterior and interior.